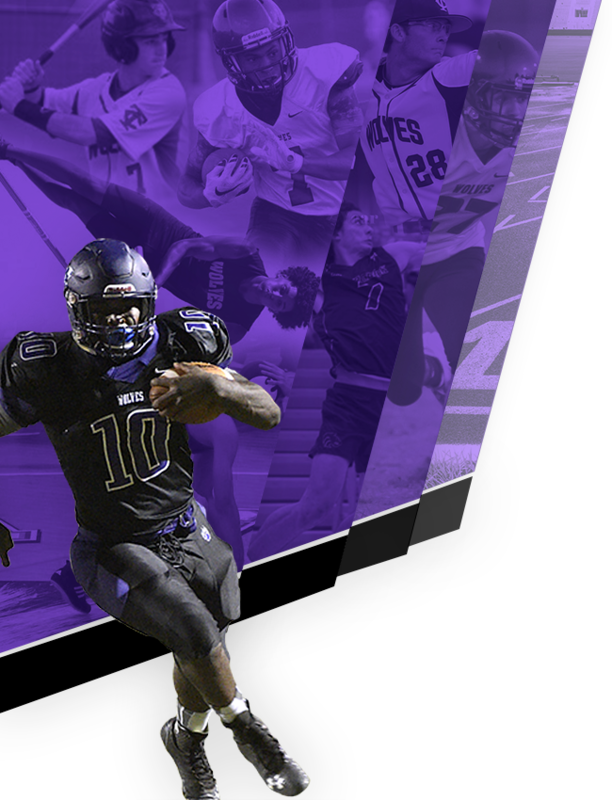 This page is dedicated to recognizing each of the Timber Creek Student Athletes that were nominated the Student Athlete of the Month for their outstanding sportsmanship, effort and excellence in athletics, dedication to team, leadership, discipline and integrity. Alana, a dual sport athlete and a member of the Timber Creek Girls Tennis team is no stranger to the spotlight as she has been in the news several times over the last two years for her success in the game of tennis. She has been most recently named the Central Florida Athlete of the Week after winning the 2017 FHSAA 4A Singles and Doubles State Tennis Title. It’s also important to note that following her 6 hours of playing tennis and winning two state titles, Alana traveled over 70 miles to the 2017 Regional Finals Track Meet to compete in the 4X800 relay with the track team. 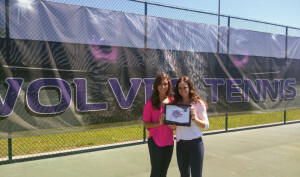 In addition to her talent and hard work, Alana displayed character and sportsmanship this past April as she was awarded the OCPS Sportsmanship Award following a tennis match against the University Cougars. In 2016, she won her first state title in singles as a freshman and was awarded the Brighthouse Breakfast of Champions Tennis Player of the year for Orange County. Alana’s overall record for 2017 is 46-2, which includes matches at Timber Creek and the United States Tennis Association. Her only two losses were at the Level 2 USTA event where she lost one singles and one doubles match. She was undefeated at the high school level in both singles and doubles matches this year. She is currently ranked 2nd in the state of Florida for girls 16 and under and ranked 4th for girls 18 and under. Alana started playing tennis when she was 6 years old. At the time, she had been playing soccer but her parents decided to have her concentrate on the game of tennis. From that time on, Alana developed a love for the sport and continued to excel in the game of tennis winning various tournaments. Today, she trains with her father at East Orange Tennis, an organization that is owned and operated by her father. Alana maintains a 4.0 GPA while taking multiple AP and Honors courses at Timber Creek. She is only a sophomore but already has aspirations of getting a Division I scholarship, majoring in science – possibly at Duke, and eventually going to medical school. Her hobbies include traveling and although she might not admit it, she loves acquiring new knowledge. 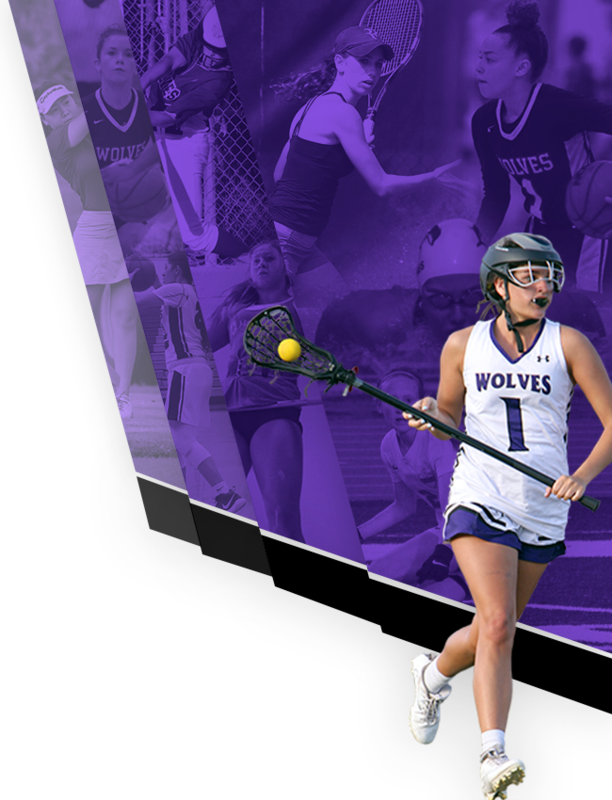 Adia is a senior for the Girls Varsity Lacrosse team who has been one of the key players to the Lady Wolves success this past season. Over the course of the 2017 season, Adia accumulated 13 goals, 17 assists, 35 ground balls, 45 draw controls and 9 interceptions as well as helped lead the Lady Wolves to the 2017 FHSAA District Championship. Adia works hard and strives to outwork her opponents in every aspect of the game. She led the team in ground balls, draw controls and takeaways in the month of March. She has been a leader on and off the field and a great role model for other players to look up to when it comes to hard work and dedication. Adia also excels academically, taking multiple AP and Honors courses and holds a 3.5 GPA. Adia has been playing varsity lacrosse since her freshman year at Timber Creek where she has received awards for each of the last 3 years. She was awarded 2014 Junior Varsity Offensive Player of the Year as well as 2015 Most Improved Player of the Year. The most recent award she received was 2016 Midfielder of the Year for the Timber Creek Girls Varsity Lacrosse team. Adia grew up playing soccer, flag football, and softball. She also started playing basketball at the age of 5 with the YMCA, and went on to play for Avalon Middle School and the Timber Creek Girls Basketball team her freshman and sophomore year. She also played AAU basketball for Rampage Elite. In addition to playing lacrosse at Timber Creek, Adia also played club lacrosse with the CT Dodgers and Lady Hawks. Adia will be attending college at Rollins next year where she will be studying psychology and plans to eventually go on to law school. Congratulations Adia for being this month’s honoree! You will certainly missed here at TC next year and we wish you all the best in the future! 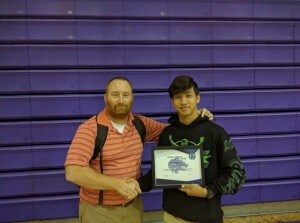 Corban is a junior for the Boys Timber Creek Wrestling team and has helped lead the team posting a 38-6 record for the 2016-2017 season. He finished 2nd in the Metro East, 3rd in Districts, 2nd at the Regional Meet, and qualified for the 2017 State Meet in the month of February. Corban also finished 1st in the Wolfpack Invitational this past and 4th at the Ron Peters Tournament of Championships this past January. Corban is a great kid, leader, and an awesome role model for his teammates displaying discipline, strong work ethic, and determination. Corbon started his wrestling career his freshman year following football season and took an immediate love for the sport. His college aspirations include wrestling while pursuing a law degree. 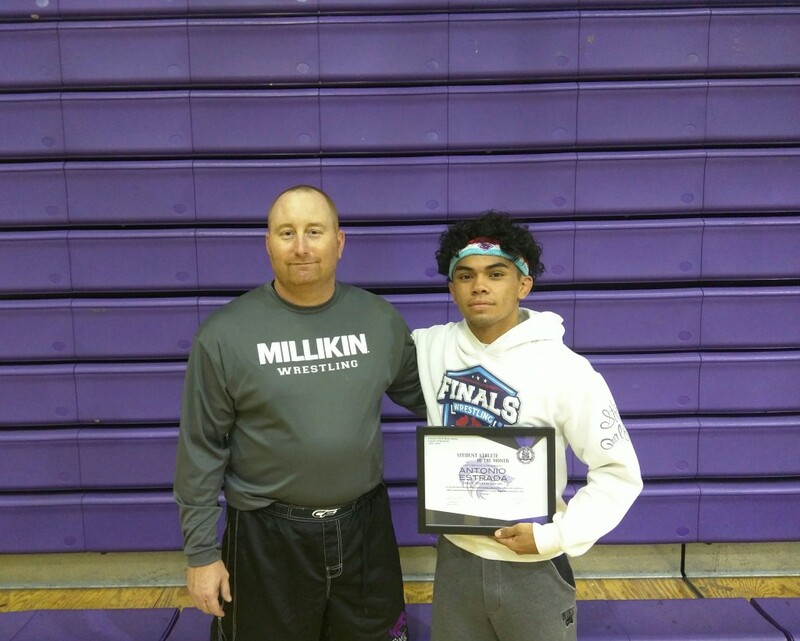 Antonio is a senior wrestler and leader for the Boys Timber Creek Wrestling team and has helped lead the team this season posting a record of 34-2. He has been a great role model for his teammates displaying discipline, hard work, and determination. Antonio strives to make his teammates better as well as mentors them on their weight management. 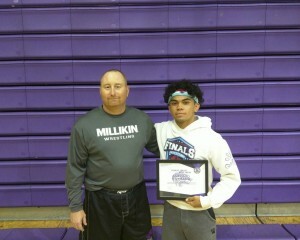 He finished 1st in his weight class in the Tournament of Champions and posted his 100th career win in the month of January. Antonio also excels in the classroom taking both AP and Honors classes. Antonio started training Brazilian Jiu Jitsu at age 7. He started wrestling 5 years ago at age 12 when his brother, PJ (a TCHS Alumni) started wrestling for Timber Creek. He wants to continue wrestling at the collegiate level and he wants to pursue a degree in Graphic Design. He’s currently looking at several universities but is currently undecided. Wrestling highlights: 2015 Wrestling State Qualifier at 106 lbs, J Robinson Intensive Wrestling Camp black shirt recipient, 2016 Metro Champion at 106 lbs, 2016 AAU Spring States Wrestling Champion at 120 lbs, 3rd place 2016 Journeymen Fall Classic, 2016 FLORIDA SUPER 32 QUALIFIER – 3rd place at 120 lbs, and Weight Division 2017 Ron Peters Tournament of Champions Champion at 120 lbs. 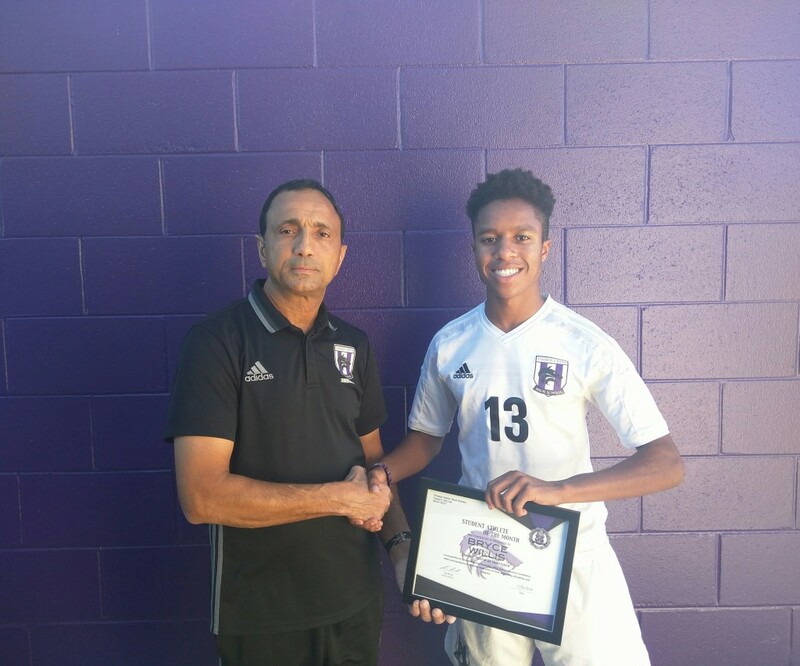 Bryce is a junior and a starting, left midfielder for the Boys Timber Creek Soccer team and helped lead the team scoring 10 points including 8 goals and 2 assists during the span of 6 games in the month of November. The team is now 7-2 and Bryce has a total of 13 goals and 4 assists through 9 games. Bryce started playing soccer at the age of 4 and has grown into a very well respected young man with a great attitude. He works hard on and off the field and is currently taking four AP courses and one Honors course holding a 3.88 GPA. To note a few of his accomplishments, Bryce played for the Orlando City soccer team for 4 years, he had an invite to the U.S. Soccer Team, and was also a recent USSF Academy Honoree. He has also had numerous looks from colleges including Temple University, Jacksonville University, Louisville University, and the University of Pittsburgh. Jared is a senior for the Timber Creek Cross Country team. 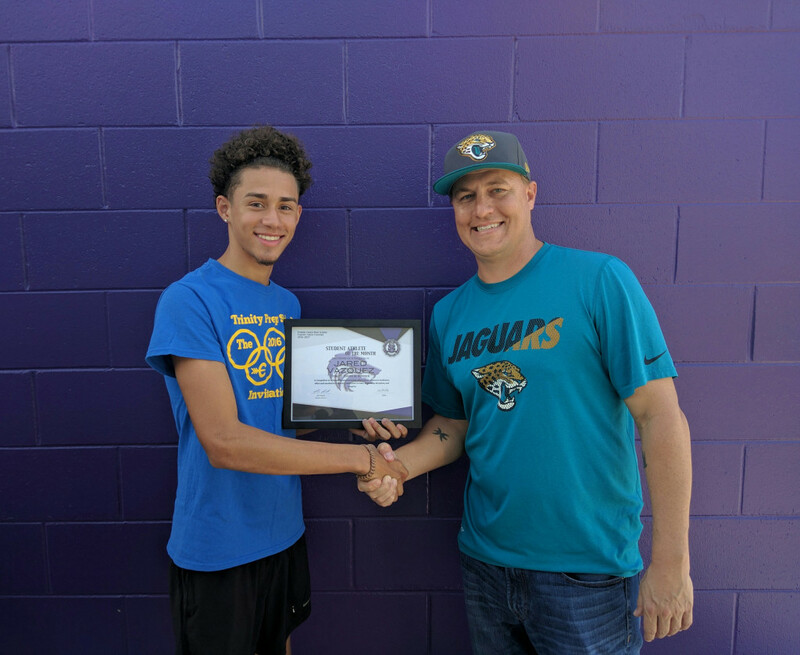 He was the #1 runner for the Timber Creek Cross Country team this past season where he led the team to Metro, District, and Regional Championships. Jared placed 3rd in Metro and 4th in District individually and finished 7th overall in the Region. He led the team to the FHSAA State Cross Country Championship last month finishing 7th in the State. Jared’s personal best time for the 5K was 16:07. In addition, Jared was a part of the 4X800 relay for the Timber Creek Track team last season where he helped set the school record with the overall time of 7:55 at the FHSAA Regional Track Meet. Aside from time spent training and in athletics, Jared also excels in the classroom and holds a 3.5 weighted GPA. He is a very respectful young man, well tempered, and has exceptional leadership qualities. Jared has been made several offers by a number of colleges but is unsure right now of where he would like to pursue his degree.